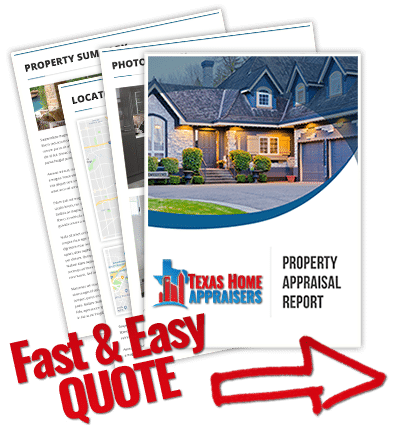 As one of the top providers of residential and commercial appraisal services in the Southwest Houston market, our Texas certified appraisers can help you with valuations for both private and lending use. We aim to deliver an appraisal report that meets our clients’ expectations and is delivered with an industry leading turn time. We have some of the best appraisal costs in the area and take pride in delivering reports faster than the typical appraisers. All of our appraisers are Houston area natives and have over a decade of experience in the market area. We employ appraisers capable of taking on all assignment including residential, commercial or mixed-use. For commercial jobs we only employ Texas Certified General appraisers with at least 10 years of experience in the Houston market. Whether you need a property appraisal report for financial, private use or a legal issues, our appraisal services will work for most real estate valuation needs. Be it homeowners or industry veterans, our promise to you remains the same – to offer a reliable and friendly appraisal service. Should you have any questions or you’re ready to request an appraisal, simply call the number on this site or complete the appraisal request form found on this site. Do you need a public property appraisal in Houston now? Dial us directly or submit our web quote form and we’ll help you shortly. The appraisal process is an orderly and concise method of reaching an estimate of value. The appraiser will go through many steps to reach a final opinion of value. The major phase of this process involves the application of the three approaches to value which include the Market Data Approach, the Cost Approach and Income Approach. The appraiser’s final opinion of value is determined by reconciling the approaches used in the report and placing emphasis on the most relevant approach. Residential appraisal reports usually rely heavily on the market data approach to value as the most applicable. A real estate appraiser must be licensed or certified through a state agency and is required to meet educational, experience, and examination requirements. Appraising is an apprenticeship and all appraisers must log over 2,000 hours under a sponsor before they can get a license. Finally, appraisers must be able to show competency in not just valuation but in their geographic area. Appraisals are much more comprehensive and consider more data points than a broker price opinion. Unlike a Broker, the appraiser is required by licensing laws to have no interest tied to to sales of a property and their fee cannot be based on the value of the property. A certified appraisal report can only be completed by an appraiser with proper state certifications. BPOs are typically completed faster than appraisals making them more appropriate in some cases where a ballpark value is needed in a hurry. Ultimately, the motivation behind the report is the largest difference between a BPO and an appraisal. A broker’s typical goal is to obtain a listing and earn a commission. This can lead to a conflict of interest whereby a broker could tell a client what they want to hear to gain a listing. A certified appraiser is independent and not earning a commission on the sale. Their only concern is to deliver a fair, accurate and objective appraisal. Once an appraiser is given access to a home, the measurement and inspection portion may take anywhere from thirty minutes to a few hours depending on the size and condition of the home. The appraisal report is usually written at the appraiser’s office after all field work has taken place. Depending on what the client is needing and the intended use of the appraisal itself, the appraiser may consider many different forms to provide property value. Each form requires an appraiser to have a different approach to providing the value and some take longer than others. A short form should consist of the appraiser’s opinion of site value, the subject properties front and street views, comparable property photos, and the subject property and comparable sales accurate location map. A narrative report is known to be the most complex and can take the longest to execute.